As you age, your body produces fewer hormones which can lead to symptoms that disrupt your normal day-to-day activities. Hormone depletion affects both men and women and is associated with menopause and andropause. Dr. Steven Brody offers bioidentical hormone replacement therapy (BHRT) to patients from throughout San Diego, California from his practice, the Infertility & Lifespan Medical Institute. Call or schedule a consultation online today to learn if BHRT will help you to feel like yourself again. Hormone replacement therapy has been around for many years. Initially, hormone replacements were mass produced, but the one-size-fits-all approach wasn’t the best approach to achieve the desired results. Your hormone levels and needs are unique, so it is more useful for hormone replacement therapy to be custom-made specifically to meet your individual needs. This customized treatment is what makes the therapy bioidentical. Dr. Brody works carefully with you and a compounding pharmacist to create a hormone therapy treatment to match your hormones exactly. What conditions do bioidentical hormones address? BHRT is also helpful for men experiencing andropause which can cause symptoms similar to menopause. Dr. Brody uses BHRT in his endocrinology practice to restore hormonal balance, alleviating symptoms like a lack of energy, slow metabolism, and mood irregularities. Each patient has unique needs, so he customizes care and treatment to help you lead your healthiest and best life. Dr. Brody does a thorough exam and consultation to determine if hormone therapy is an effective treatment for your needs. He takes samples to study your hormone level and needs If BHRT can help you, he prescribes compounded bioidentical hormones that you take in pellet or pill form. The compounds replace your lost hormones, alleviating your symptoms. You’ll need to attend regular appointments with Dr. Brody so he can monitor your symptoms and hormone levels to ensure the therapy is effective. 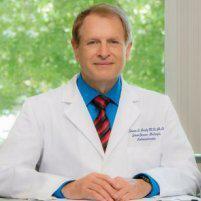 Dr. Brody carefully monitors your health, hormone levels and wellbeing throughout treatment. This careful attention combined with customized hormone replacement therapy makes this treatment very safe for you. He answers any and all of your questions about BHRT so that you are able to make the best decisions for your health. In turn, you need to be candid about your symptoms and experiences so that Dr. Brody can fully understand your needs. If you have questions about bioidentical hormones, call the office or schedule a consultation online today to see if this treatment will help you to lead a healthier and more active life.